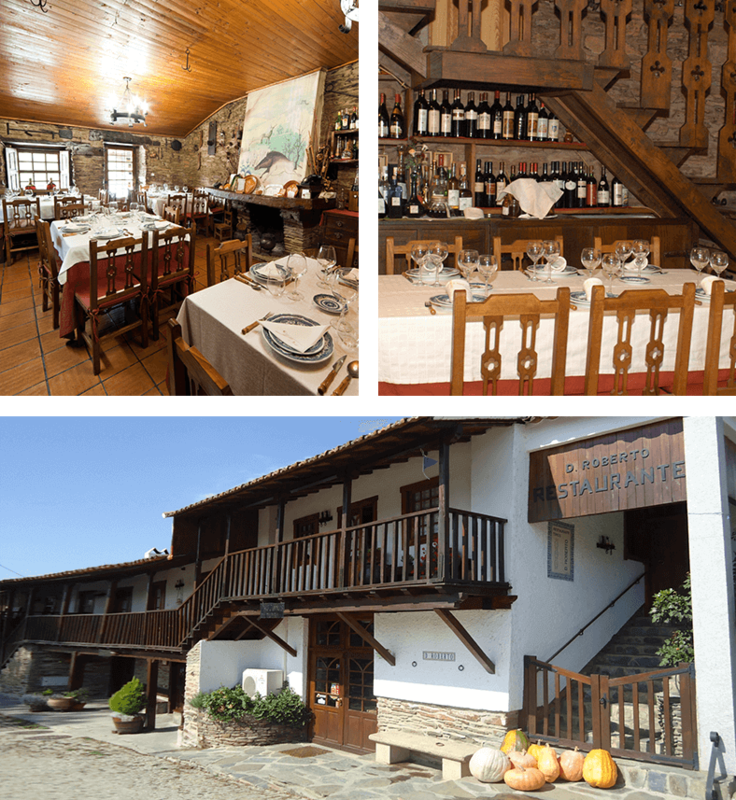 D. Roberto is a typical restaurant with 3 different atmospheres. The Restaurant, the Tavern and the Regional Products Store. Visit us and prove what we do well. 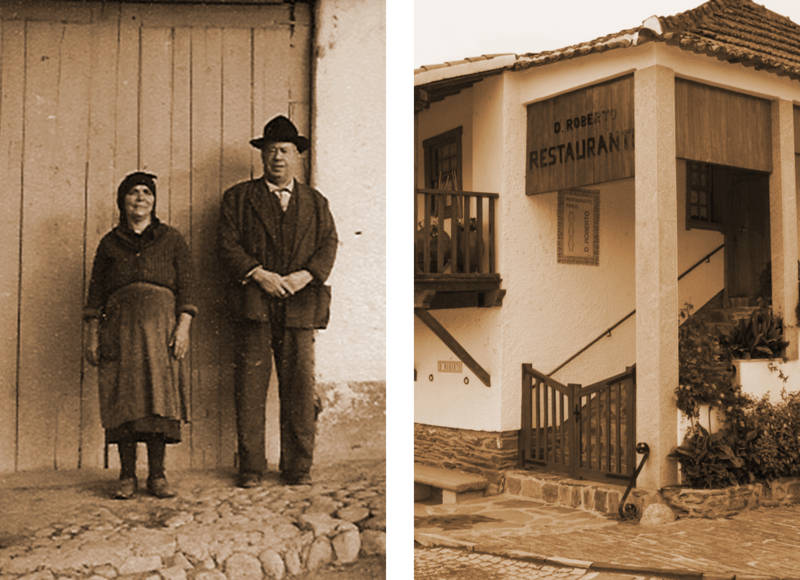 Typical Restaurante D. Roberto has existed in Gimonde since 1935. 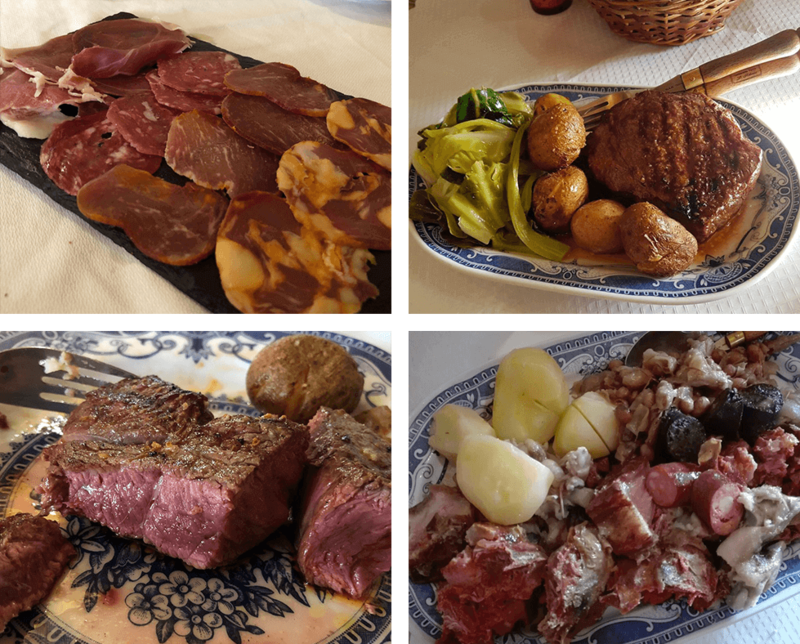 The sausages and regional smokestacks are a characteristic of the menus practiced in this unit by the D. Roberto family. Installed in a typical Transmontana house , the whole decoration revolves around the theme of the hunting, sausages and ancient artifacts of the region. With the evolution of the times it was being successively refurbished and adjusted, presenting today a configuration that allows it to be a reference in the region and one of the few typical certified restaurants. 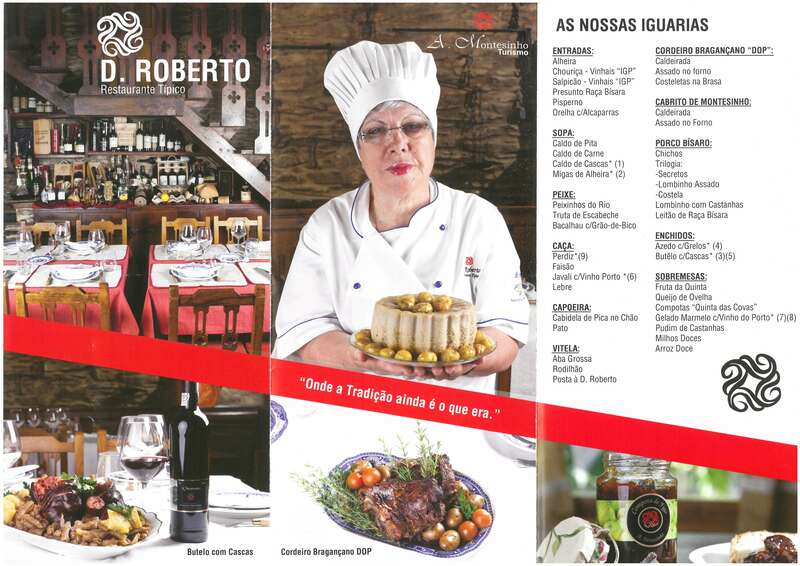 The restaurant D. Roberto has a menu consisting of the most typical delicacies of Trás-os-Montes. Some of our dishes have already received several national distinctions. The restaurant has 4 different spaces. Two rooms, typical tavern, where you can snack and taste various regional delicacies and a regional products store. Any question? Would you like to visit us?